Las Vegas brings out the big guns to celebrate the prior twelve months and ring in the next year. You can participate in a number of parties throughout the region to celebrate this amazing holiday in style. Consider your favorite activities to find the perfect way to start the year off right. Here are just a few events to consider for your Las Vegas New Year’s Eve. Bright and colorful Fremont Street absolutely fills with people celebrating on New Year’s Eve. Many people arrive to catch the hourly Viva Vision light show played to the sounds of `80s greats, such as Heart and Bon Jovi, and stay to ride the Slotzilla Zip Line. The shared excitement exuded by the huge crowds continues to mount until the inevitable release at midnight. You can kill the time before then by visiting one of the many casinos on this street. 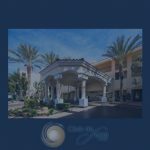 Hopping between casinos downtown is much easier than the Strip as well with their close proximity to one another and more reserved entrances. The iconic Level 107 Lounge gives you the perfect vantage point to view the firework shows in style. Many casinos around Las Vegas shoot off fireworks at midnight to ramp up the excitement and highlight the city’s beauty. The Stratosphere shoots off its own gorgeous firework display from the top of their 1,149 foot tower. You can enjoy delicious appetizers, meals and drinks while counting down to midnight. The Tao Nightclub at the Venetian hosts the Snoop Dogg Cabaret to allow visitors to groove to legendary beats for the remainder of 2014. Snoop styled this venue and his performance around the beautiful designs produced in the 1920s. Mixed drinks and flapper dresses mimic the angst of the prohibition period, adding to the feeling of urgency and excitement of the night. You are encouraged to embrace the suggested time period with your own outfit and attitude to add to the ambiance.